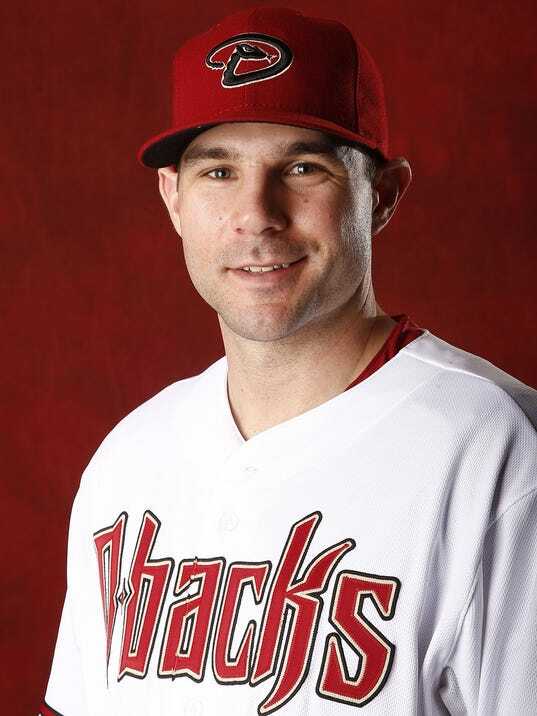 Without Pennington, infielder Chris Owings is the only player on the Diamondbacks’ bench with shortstop experience behind starter Nick Ahmed. Manager Chip Hale said Owings could get a start at short next week to give Ahmed a day off. Minniti said second baseman Aaron Hill could be used at short in an emergency. Romak is most comfortable at third, but could also play first, second and the outfield. He played in 15 games for the Dodgers in 2014 and had 23 plate appearances. Hale said he could provide a jolt off the bench. Ed Charlton (St. Augustine Prep) went 3 for 4, including a solo home run, for the Billings Mustangs (Reds) in a 6-2 loss to the Grand Junction Rockies in the Pioneer League for rookies Saturday night. He batted seventh and played center field. In a 7-2, 10-inning loss to the Orem Owlz (Angels) in the first game of a doubleheader Friday night, he went 0 for 4, striking out twice. He played center field and batted ninth. Charlton did not play in the second game, which Billings lost 6-4. Charlton is hitting .294 (20 for 68) with two home runs, 10 RBIs and 11 runs scored in 17 games. The Diamondbacks stockpiled infield depth throughout their system, but not all of it is young. Triple-A Reno third baseman Jamie Romak is in the midst of his best season as a pro. At 29, Romak isn't old by normal standards, but his birth certificate disqualifies him from hot-prospect consideration in his profession of choice. That said, Romak may in his prime, as demonstrated by his prolonged tear through the Pacific Coast League. Last week Romak hit .423 (11 for 26) with 11 RBI, five home runs, two doubles, a triple, four walks and a stolen base. He led all of Triple-A in total bases (30), homers and RBI during the stretch. For the season, Romak is hitting .299 with 16 home runs and 64 RBI. He is on pace to blow past his season highs in hits (128/2010), homers (25/2008) and RBI (85/2014). All of this after he got off to a "typical" slow start in April. "I didn't try to make too many big expectations or goals heading into the season," said Romak, in his first year in the D-backs organization. "I feel like I've gotten better and expect to keep getting better. "I think (batting) average is overrated. I'm worried about production. Extra-base hits, runs and RBI are important." Hitting in the middle of an Aces lineup that includes Peter O'Brien, Danny Dorn, Nick Evans and of late Brandon Drury, Romak has plenty of opportunities to produce, and since May 24, he leads all of baseball with a 1.203 OPS. No. 2? Marlinsslugger Giancarlo Stanton (1.199). "Any time you have a really good statistical season, it's in part because of the guys around you," Romak said. "We've had a real good 3-4-5 all season, but it's not just the three of us. This is a deep lineup." But Romak has stood out among the group, and both he and O'Brien were named PCL starters in next week's Triple-A All-Star Game in Omaha, Neb. It will be Romak's first All-Star game at any level. "I'm pumped about it," Romak said. "In May I started to think I actually had a shot at being an All-Star. I would have enjoyed the time off if it didn't work out, but I'm pumped to go." Romak, a fourth-round draft pick of the Braves in 2003, has 4,269 minor-league at-bats in his career but just 21 in the big leagues -- all with the Dodgers in 2014, and he had just one hit to show for those at-bats. He has a clause in his contract that stipulated a three-day window at the beginning of the month for him to be traded to any team wanting to put him on its 25-man roster. No suitors stepped forward, so Romak remains with Reno, though a team from Japan or Korea -- where the paycheck would be larger -- could come calling. "I didn't want to leave here unless it was for a big-league opportunity," Romak said. "And you always hear stuff, and I'd be open to playing in Japan or Korea if that opportunity arises." Jamie Romak, who made his MLB debut with the Los Angeles Dodgers in 2014, has agreed to a minor league deal with the Arizona Diamondbacks, an industry source told Sportsnet. Romak, a 29-year-old native of London, Ont., appeared in 15 games for the Dodgers in 2014 after spending parts of 12 seasons in the minor leagues. He drew interest from five teams after becoming a free agent, but chose Arizona’s offer, which includes an invitation to MLB spring training. The right-handed hitter spent most of the 2014 season with Los Angeles’ triple-A team, where he batted .280/.335/.538 with 24 home runs in 462 plate appearances. He has enjoyed success throughout his minor league career, as evidenced by his 173 home runs and .795 OPS. Romak collected his first MLB hit in 2014 while playing first base, third base and right field. He batted .048 with a .226 OPS in 23 plate appearances for the Dodgers. A fourth round selection of the Atlanta Braves in the 2003 draft, Romak finally made his MLB debut in May. As he walked up to face Cincinnati Reds right-hander Homer Bailey, he heard the Dodger Stadium crowd of 41,129 welcome him. Now he gets the chance to chase more of those moments in Arizona. "Romak finally got his moment in the baseball sun"
"Romak finally got his moment in the baseball sun .Romak, 28, was called up May 28 when Carl Crawford went on the disabled list. He had battled for 12 years in the minor leagues before the call-up. In the ninth major league plate appearance of his life, he collected a two-run double for his first career hit."